We are passionate about delivering high quality Turkish food to our customers and provide a range of options to choose from. This includes our charcoal grilled kebabs and delicious starters such as houmous and falafel. Below is a Turkish food glossary for you to explore all the creative dishes from the Mediterranean. 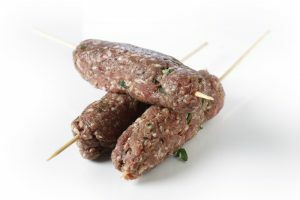 A long minced lamb kebab with oriental herbs, spices, and parsley, which is placed on an iron skewer and then grilled. A traditional Turkish dish often called ‘Noah’s Pudding’ which consists of dried and fresh fruit, nuts, grains, and sugar. A drink made with yoghurt, water, and salt. A sweet pastry dessert containing chopped nuts and honey. Small stuffed pastries which can be fried, grilled, or baked. A dip made from yoghurt, cucumber, garlic, dill, mint, oil, and salt. Stuffed vegetables. The most common are stuffed vine leaves, peppers, and tomatoes. Meat cooked on an upright rotisserie and then sliced. 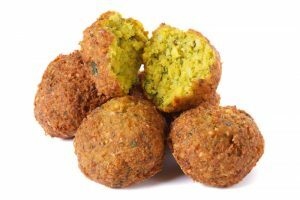 Fried balls made of chickpeas/garbanzo beans, onions, garlic, flour, salt, and herbs/spices. Turkish flatbread made with dough then loaded with toppings, folded, and griddled. Kebab meat stewed in a sauce with tomatoes and peppers. 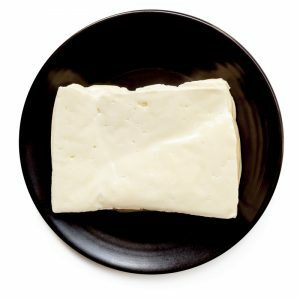 A solid, springy cheese made from sheep or goats milk. 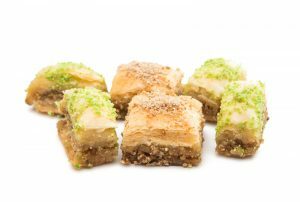 A sweet dessert made using semolina, butter, flour, milk, nuts, and sugar. 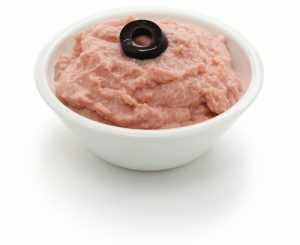 A dip made from chickpeas, tahini, garlic, lemon juice, oil, and salt. Lamb ribs grilled on charcoal. A dish consisting of pieces of meat and vegetables cooked on a spit or skewer. Meatballs which are shaped like sausages, made with minced meat. A pastry dessert filled with soft cheese, covered in syrup, and served with cream. Flat dough topped with minced meat, vegetables, onions, tomatoes, herbs, and spices, and then cooked. 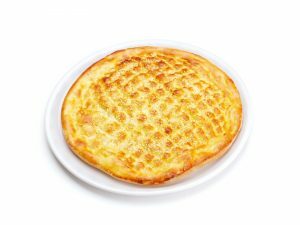 A thin, crispy bread that puffs up when cooked, often called ‘balloon bread’. 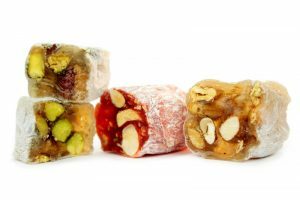 Also known as Turkish delight! This sweet treat is made with corn starch, sugar, grape juice, and gelatine. Mini pastries stuffed with minced meat. A range of small dishes usually eaten at the beginning of a meal. Includes meat, fish, vegetables, bread, and dips. A syrup made from grapes or other fruit. A flat round bread offered plain or with meat on top. A cold bean dish with oil, garlic, onions, and peppers. Cabbage/grape leaves filled with rice or minced meat and steamed. Chunks of meat which are marinated, skewered, and barbecued on a flaming grill. Round bread with a hole in the middle, topped with seeds. A dip made from fish eggs, lemon, oil, and potatoes. A red chilli pepper from Turkey which is dried. Similar to the Adana kebab but with less spice. A light round flatbread cooked on a sac (iron plate which is heated). So there you have it! We hope you learned something new and feel enthusiastic about trying out more Turkish cuisine. At Mega Charcoal Grill, we serve all the Turkish street food classics: kebabs, koftes, halloumi and falafel, all traditionally coal-grilled. Drop in to satisfy your Turkish food cravings!